It almost feels like cheating choosing just one book for a country as large as Canada, which covers almost four million square miles. Surely one book can’t represent a whole country? I love this project for the reading, but almost as much for the research. I’m exposed to so many women writers I would never know about otherwise. That exposure helps relieve the anxiety of choosing the “right” book for each country. I know there are so many others I can read another time. I discovered Sharon Bala through this CBC list of 18 Canadian Writers to Read in 2018. Almost every country I’ve researched so far has at least one female author from decades or centuries ago who continue to receive praise for their work. I’m not quite sure why, but I’ve been more interested in reading younger, up-and-coming women writers. Bala is no exception. The Boat People is her debut novel and it did not disappoint. The book is a fictional depiction of a group of Tamil refugees who travel by boat from Sri Lanka to land on the shores of British Columbia. Actual events like this happened in both 2009 and 2010 and became the inspiration for this novel. Bala tells the story of three main characters. Mahindan, a widowed refugee who arrives with his young son. Priya, a law student of Sri Lankan heritage who gets roped into helping the immigration attorney in her office. And Grace, a new adjudicator tasked with trying to understand the refugees’ stories to determine who gains asylum and who gets deported. There are incredible nuances in each of these stories and numerous other characters who come to influence their actions, perspectives and decisions. 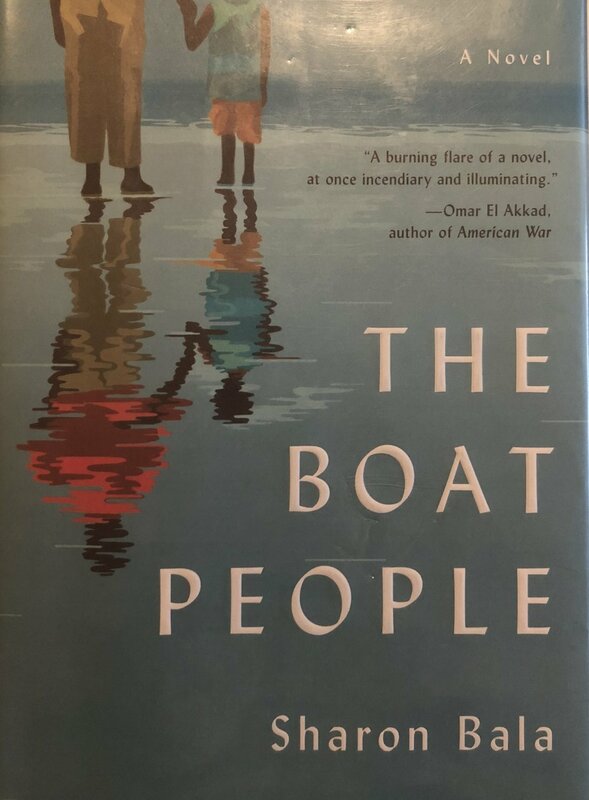 I read this book during a tumultuous week in the U.S. as a caravan of thousands of people from Central America head toward the country to seek asylum and try to begin a new life for themselves and their families. This situation is likely as nuanced as the stories in The Boat People. Although most of the books I’ve read so far have been fiction, there are lessons of empathy and compassion in all of them. I’m taking a huge dose of these with me after reading this book.